1. 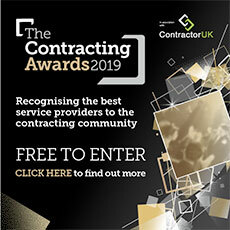 Should you reject the Contractor UK terms and conditions for forum and website use and therefore not wish to be bound by them, then use of the Contractor UK forum is prohibited to you. 2. You are responsible for what you post. Do not post or otherwise make available any content that is illegal or libelous. You acknowledge and accept that Contractor UK are neither liable nor responsible for the content that you submit. 3. Do not post, upload or otherwise make available any content that you do not have a legal right to make available, such as confidential information, third party copyrighted material or any content that infringes on a trademark or intellectual property as examples. 4. Do not post or otherwise make available any content that harasses or is threatening, abusive or defamatory. 5. No impersonation of other participants or public figures. 6. No advertising or marketing of any kind, including non-profit organisations, not even subtle stuff, ever. Please use your company name as a user name to identify yourself when offering unbiased, expert advice only. We will not accept any "hard sell" on your services or products within posts or touting for business via private message (PM). No URLs, contact details or sales spiel on sigs either. 7. We reserve the right to identify you in response to a court order or threat of legal action. You also agree in our Terms and Conditions to permit us to remove any such material. Such actions may result in an immediate ban from the forum. 8. If you repeatedly seek to annoy or antagonise other forum members then a moderator may ask you to consider your behaviour. If you continue to annoy then a temporary infraction may be applied to your account. Too many infractions will lead to a temporary ban, the length of which is decided by the moderator. If any of us feel that a forum user is causing so much annoyance that their presence is no longer welcome on the board, we may permanently ban that user for accessing the forum. 9. This site asserts copyright on all comments posted on the board. By using this forum, you authorize Contractor UK to continue to display your contributions to the site. Our forum is split into two areas that mirror our working life. Professional and Social. The Professional areas of the forum consist of "Welcome / FAQs", "Business / Contracts", "Accounting / Legal", "Technical" and any sub-forums they may hold. Do not personally attack other forum users. Do not swear or post content that other users are likely to find offensive. As a new forum member or a regular with a question please do your research. Here is an excellent post from one of our moderators that shows how to search the main site for information. There is also a search function on the forum that can be used. We do not like lazy questions and these will likely result in it being suggested that you do some research. If you cannot offer constructive advice to other users then do not reply. We have a range of FAQs, previous posts and content on the main site that other forum users can be directed to. There is nothing wrong with telling end users that they are living a dream or should investigate their options more but do this in a polite way. It is good to stay on topic and give thoughtful, useful (and unbiased, if you are yourself a service provider) advice. One liners that do not add to the discussion may be removed. Posts that do not add to the discussion or seek to divert the discussion may also be removed. As in every industry, there are companies (service providers) whose standards fall short, or cause hardship in some way to contractors. If you have been treated badly by a company please do not "name and shame" unless you have physical evidence to substantiate your claim, that you are both happy to share with us and use in the event of a legal challenge.. Where documented evidence is available that we feel satisfies this criteria we will allow the post to remain. Remember that some forum users may access the forum from their clients' sites. Do not post messages in large, coloured fonts that are likely to be seen by other workers in open offices. Do not link to pornographic or potentially sensitive material without previously stating NSFW (not safe for work). We also have a "Social" side to our forum. If you are stuck in a boring contract or are benched then we know it is good to let off steam. To help while away your day you can participate in the "General", "Light Relief" and Social / Events" sections of the forum and any sub-forums that they may contain. Whilst the General forum is in the same section of the site as the Professional forums the posting rules are the same as for the Social side of the site. We operate a more relaxed attitude in these forums. We do not appreciate trolling or seeking to purposefully annoy other users of these areas though. We ask that you tolerate other forum users and if you do not like other users' behaviour or posting habits then do not interact with them. Posts may be moved from one category to another if deemed inappropriate for its original location. Image posting is allowed in the social areas of the forum. Posting inappropriate embedded material will earn you an immediate temporary ban, posting it twice will earn you a permanent one. If the ability post images is abused it will be removed. If you are browsing the forum at work you can turn off images in your control panel. Threads in this forum tend to show up in various search engines. That means that anything that you post here can come up in a Google search. If you create an account using your real name or if you post your real name, your company name, your clients' names etc then it is likely someone will find these comments and possibly trace them back to you so consider what you are about to post before you submit. It is against our policy to delete threads after they have replies, so do not ask us to delete threads once they have attracted attention. Do not publish or reproduce private messages on the forum without permission from the sender. To report violations of these rules, please email us at forum@contractoruk.com and upon receipt of a complaint we will investigate, and if necessary, amend or delete any offending posts as soon as possible. Please ensure you email us the specific URL and the phrase(s) therein you'd like us to investigate. We cannot do so without this. Comments posted on the board may at our discretion be removed or edited, whether in breach of the standards or not, without further comment or notice to you. Changes to these Forum Rules may be made at any time without notice to you. Contractor UK uses first-party cookies as part of the Google Analytics traffic analysis tool (we do not use third-party cookies, usually associated with behavioural advertising). Cookies do not identify people, but they are important in telling us how people use our site and how many visitors the site receives. You do not need to have cookies turned on to read and use the information on www.contractoruk.com. However, you do need cookies to participate actively in the forums. You can change your browser settings to prevent the site from placing cookies on your machine.